One of the most anticipated Champions League matches of the first knockout round of this year’s competition sees Jose Mourinho renew his rivalry with Sir Alex Ferguson as Manchester United head to the Bernabeu to take on Real Madrid on Wednesday. bet365 offer a free bet up to £50 to all customers who place a pre-match bet on the game. The original bet can be placed on any of the 70 markets available ranging from the match result, the correct score or the first player to score. There’s no need to opt in to this promotion, simply place your first bet and once the match kicks off, place your in play bet up to the same value as your largest pre-match bet, if it losses, then bet365 will refund your account with the stake of the losing in-play bet, up to £50. What’s more, if the bet wins, you keep the winnings. So whether you’re an experienced in-play punter or just wish to try the service out risk free, Wednesday is the day to do so. It’s simple. If your largest pre-match bet is £10, then you’ll be entitled to a risk-free £10 in-play bet, this offer applies up to £50. Real Madrid start as 8/13 (1.62) favourites to claim victory and take an advantage into the second leg at Old Trafford. The visitors are available to back at 9/2 (5.50) while the draw is a 7/2 (4.50) shot. The bookmakers clearly believe the English side will have their work cut out to come away from the Bernabeu with anything despite Sir Alex Ferguson’s impressive recent form in the Premier League. Jose Mourinho’s side may be off the pace in La Liga, behind both Barcelona and Atletico Madrid in the table, but their home form is solid enough for bet365 to believe they will win this match almost 62 per cent of the time according to the odds. 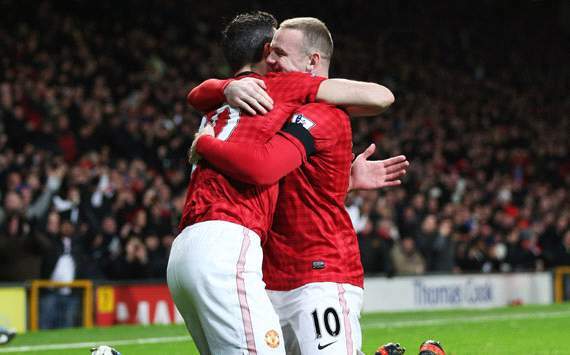 Cristiano Ronaldo is a 12/5 (3.40) shot to open the scoring on Wednesday night while Robin van Persie (6/1) and Wayne Rooney (17/2) head the market for Manchester United.